I don't know about you, but I am a big fan of Lush bath bombs. Unfortunately, they are so expensive and complicated to try and DIY. 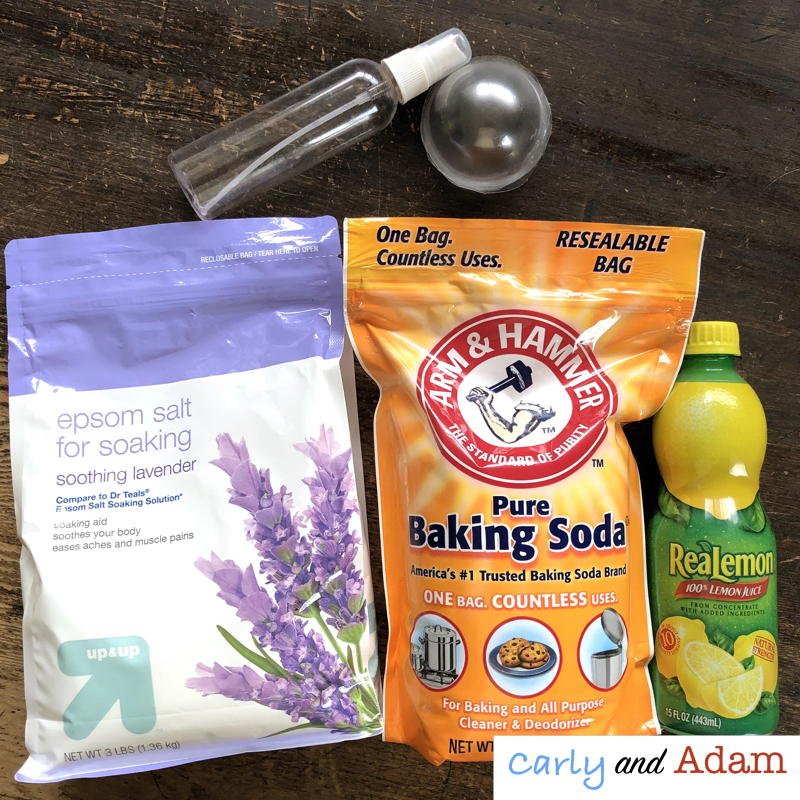 What I love about this Mother's Day bath bomb recipe is there are only three ingredients: epsom salt, baking soda, and lemon juice. These are also ingredients that are easy to find at your local grocery store. To make the bath bombs, all you need to do is combine 1 cup epsom salt and 1 cup baking soda together in a mixing bowl. Then lightly spray the mixture with a solution of 1 part water and 1 part lemon juice until it has a texture of wet sand. Place the mixture in a mold and let it set over night. A mold can be an actual bath bomb mold, a cupcake pan, or the bottom of a plastic cup. After the bath bombs have set carefully remove them from the molds. Place them in clear plastic gift baggies or regular plastic baggies. You can also add ribbon and a cute tag. You can find the "You're the Bomb Mom" tags as well as additional options for students with other caregivers in our Mother's Day Bath Bomb STEM activity pack. As a part of the Mother's Day Bath Bomb STEM activity pack, there is a paper bag book writing activity for students to complete about their mom or caregiver (multiple templates are included). One suggestion is to have students work on the paper bag books while they wait for their turn to make bath bombs or while they wait for other groups to finish. In the paper bag book, students write 5 reasons why they love their mom or caregiver. There is also a page for students to draw a picture of their mom/caregiver. An about the author page is included as well. If you are interested in making bath bombs and paper bag books as Mother's Day gifts in your classroom, you can find more detailed instructions and photos as well as the templates for the bath bomb gift tag and paper bag books in our Mother's Day Bath Bomb STEM activity pack.